Floppy Disk Laptop Bag - It takes 42 floppy disks to make this bag, and it will store a whopping 60MB of data. Check out the link for a video of the construction. Christina Hendricks Talks about All Star Superman - Hendricks talks about her role (she's voicing Lois Lane) in All Star Superman and Whedon's Avengers with Jill Pantozzi. 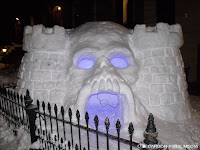 Castle Grayskull in snow - When life gives you snow, make He-Man's fortress. Obviously. 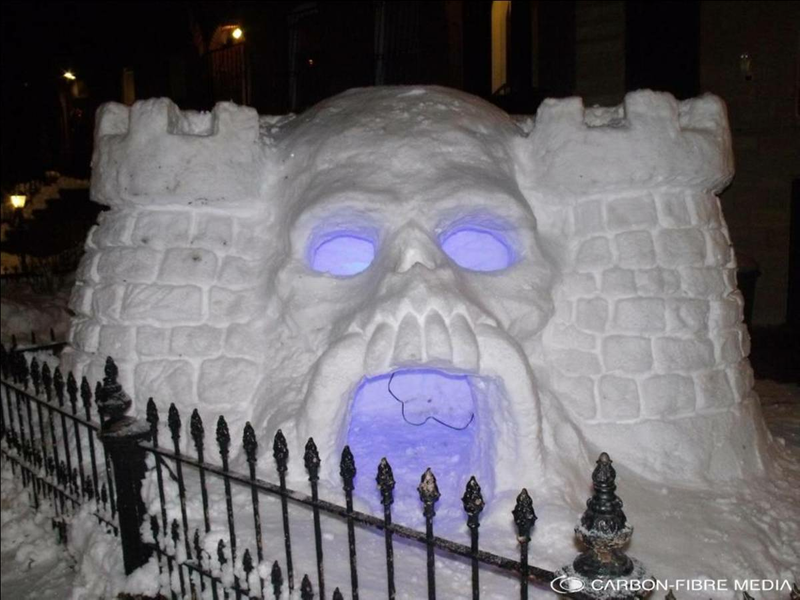 What I particularly love is that this isn't the first time the builder has made Castle Grayskull from snow. Visit the site to see more photos and video. A History of Star Wars Maps - Who doesn't love lots of maps in their favorite science fiction universe? The Star Wars galaxy has had several, and many are collected in this post. Hand Painted B Movie Bags - Who wouldn't want a hand painted purse that says Return of the Fly? 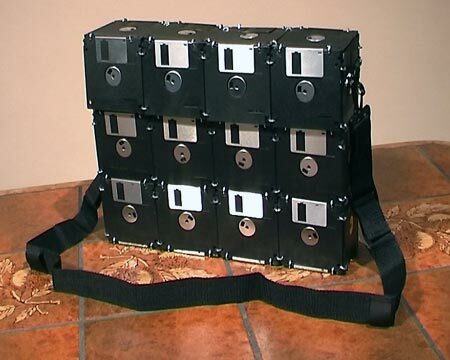 These one of a kind bags feature some titles you've heard of and several that you haven't. Check out her site to be inspired to have a B-Movie marathon. Wheel of Time map - Apparently bags and maps are a recurring theme in this post. If you like Wheel of Time, you'll appreciate this map. One fan tracks the three main characters - Rand, Perrin, and Mat - around Randland. It's pretty interesting to see their travels. I refuse to go back and re-read the books though. No matter how much I want to.